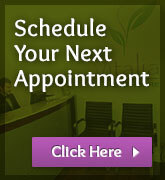 Vitalia provides primary Health Care from a licensed doctor. Naturopathic Doctors (NDs) have extensive Naturopathic medical training with a focus on complimentary, traditional, and natural treatments. NDs are trained as general practitioners, and they are licensed medical professionals, able to treat everything from minor ailments to acute and chronic conditions. Naturopathic Doctors seek to identify ways to change your health and lifestyle to improve overall health, which creates less necessity for regular treatment. Naturopathic Medicine takes a preventative approach to maintaining health. You do not have to suffer from a medical condition to see a Naturopathic Doctor. Through diet and nutrition advice, choosing the right supplements for your body and testing to identify potential imbalances or deficiencies in your body, you can prevent chronic diseases. Identify and remove obstacles to your recovery, focusing on underlying causes rather than merely suppressing symptoms. Use science-based, natural methods that minimize your risk of harmful side effects. Educate you, helping you take responsibility for your health. Treat you as an individual – taking into account your physical, mental, emotional, genetic, social and environmental factors. Emphasize disease prevention, assessment of risk factors and hereditary susceptibility to disease. Guide you to recognize and experience wellness so your body can better heal. Many Extended Health Care plans cover naturopathic consultations and laboratory tests. Please contact your provider for more information in regards to your coverage. Remember many plans offer coverage that reset at the end of the year. To ensure you maximize usage of your benefits, make your appointment before the end of the year!